Looking for the ultimate ride with extraordinary styling… Look no further. 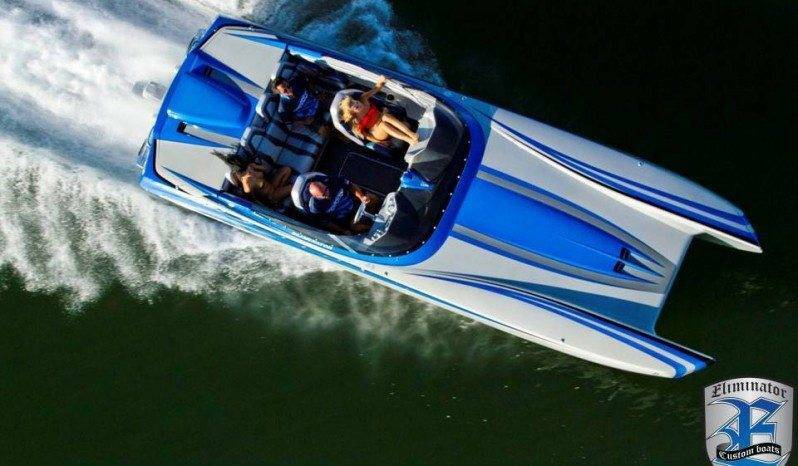 This boat is designed to go fast and look good doing it. Our High Style sleek Windshield and low profile positioning, will keep you on top, and sweep the competition right under their feet. With a variety of different engine and drive packages available. Designed for single outdrive or dual outboard power, the 27 Speedster provides legendary Eliminator styling and performance in a more economical package. Available with the new Teague Custom Marine engines, ILmor 725 Indy drives or 700hp Mercury SSVI (#6) Drive packages, the 27 Speedster will rocket you across the water in style.